Daisy Collection combines superb visual appearance and fine quality that you need in your dining area. The distinct elegant flared tulip base support beveled glass tabletop on the round dining height table. Counter height chairs feature clean lines and sleek curves, available in both white bi-cast vinyl and dark brown bi-cast vinyl. The set is constructed of hardwood solids and veneers in a refreshing Espresso finish. 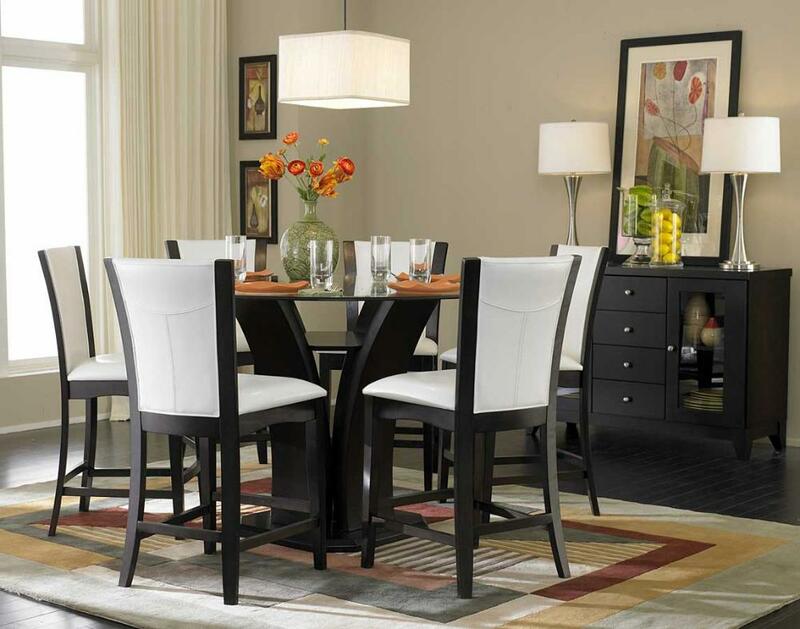 FEATURES: Espresso Finish ~ Contemporary Style ~ Four Tulip Design Table Base ~ Glass Top ~ White / Dark Brown Bi-Cast Vinyl Chairs.